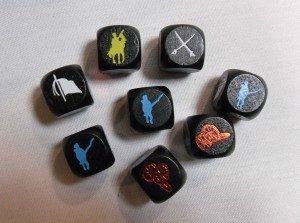 Now available are the alternate dice for the new Commands and Colors Napoleonics game from GMT. The dice are wood and lacquered in black with embossed symbols for the game. There are 8 dice in the set.